Priced at £1.1 million minus taxes, all 75 units are already sold out. 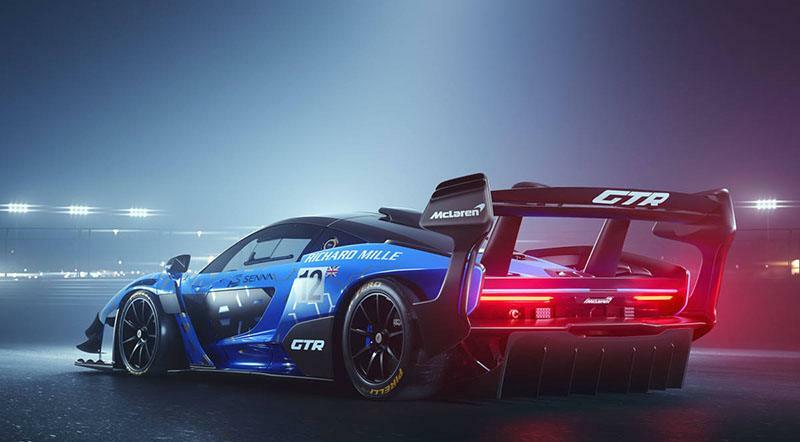 A year after it was announced at the Geneva Motor Show in concept form, the McLaren Senna GTR is a giant leap forward for the brand, as they have bred the fastest McLaren outside of Formula 1. The McLaren Senna GTR has all the ingredients its namesake has; grit, tenacity, and speed. Giving you the ultimate race-track experience, it is the latest and most absolute member of McLaren’s Ultimate Series. The car is powered by the most technologically evolved version of McLaren’s 4.0-liter twin-turbocharged V8 engine, which produces an astonishing 814 bhp with 800Nm (590lb. ft.) of torque. The exhaust system is also vastly evolved, with rear exit pipes enabling the car to emit the exhaust gases in the shortest time. In the aerodynamics department, the Senna GTR delivers unparalleled aero performance. Rendering a downforce of more than 1,000kg, the car flies around the corners while delivering precision-handling. It also comes equipped with notable safety features, such as anti-lock braking, traction control, and lane speed control. The McLaren Senna GTR is exclusively left handed. Featuring a carbon-fiber racing seat supported by a six-point FIA harness, the passenger seat is optional with no additional cost. The carbon-fiber elements are brushed with gorgeous satin while the sills are covered in black carpet. Priced at £1.1 million minus taxes, all 75 units are already sold out with deliveries expected to begin by September this year.